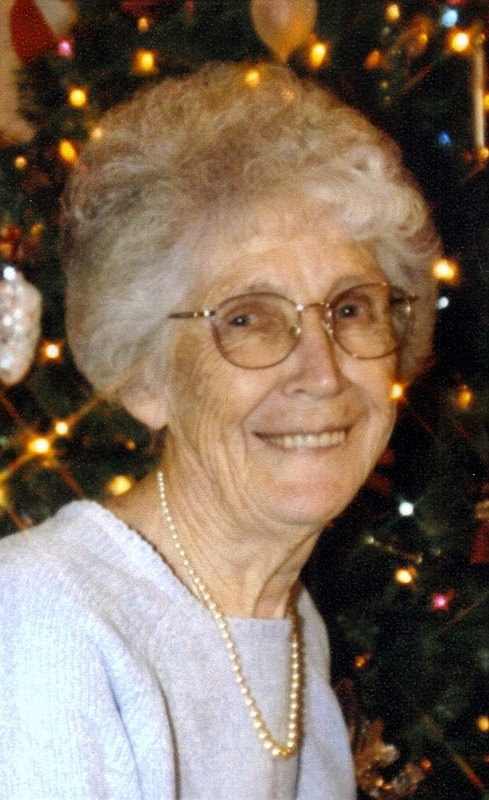 Jean M Pederson, 82 died Sunday, December 13, 2009 at the Morningside Manor in Alcester, SD after a long illness. Jean was formally of Brandon, SD. Jean O'Donnell was born June 23, 1927 and attended St. Joseph Cathedral High School in Sioux Falls, SD. She married James H. Wendt April 27, 1946 and they made their home in Sioux Falls until 1957 when they moved to Brandon, SD. James died June 30, 1967. After Jim's death, Jean worked at John Morrell's for 8 years where she met Maynard "Pete" Pederson. They were married September 6, 1975 in Sioux Falls, SD. They lived in Brandon, Inwood, Sioux Falls and moved back to Brandon during the 30 years of their marriage. Pete died March 28, 2005. Jean was a member of St Mary's Church. She enjoyed cooking, baking, and spending time with her family. During the spring and summer months, Jean could be found working in her backyard tending her flowers and weeding her garden. She enjoyed watching birds out her window and helping Pete with small landscape projects. She was not one to sit around; whether it was cooking, gardening or cleaning, Jean was always on the move. Jean is survived by three sons, Daniel (Linda) Wendt of Arlington, TX, Patrick (Donna) Wendt of Wenatchee, WA, and David (Brenda) Wendt of Sioux Falls; five daughters, Danielle (Bill) Bowers of Trinity, AL, Joan (Randy) Huska of Post Falls, ID, Nancy (Lance) De Roos of Sioux Falls, Kathy (Mike) Pedersen of Storm Lake, IA, and Barbara (Jason) Peterson of Alcester SD; stepdaughters Marlene Metzger of Sioux Falls and Judy (Gary) Johnson of Renner; one sister Lorraine Cassidy of Hemet, CA; 25 grandchildren, 19 great grandchildren and 3 great, great grandchildren. She was preceded in death by her husbands James Wendt and Maynard Pederson; her mother and father and one brother, Maurice. Scripture Vigil and Rosary will be held at Barnett-Lewis Funeral Home at 7:00 p.m. with visitation with family beginning at 5:00. Mass of Christian Burial will be Saturday the 19th, 11:00 a.m., at St Mary Catholic Church. Burial will be at Riverview Cemetery, Centerville, South Dakota.